Hand Drawn Fruit and Vegetable Brushes Pack - Free Photoshop Brushes at Brusheezy! Enjoy the best of the summer with this new Hand Drawn Fruit and Vegetable Brushes Pack! Included in this pack are nine tasty fruit brushes and vegetable brushes that you'll love using in your work. These tomato brushes, watermelons, mushrooms, and other fruit and vegetable brushes would be the perfect way to bring a delicious end to the summer. 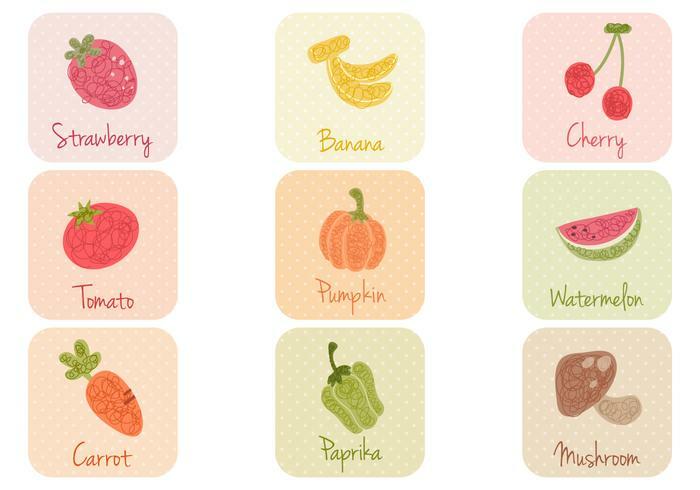 Also check out the <a href="http://www.vecteezy.com/food/58195-hand-drawn-fruit-and-vegetable-vector-pack/premium">Hand Drawn Fruit and Vegetable Vectors</a> over on Vecteezy!